Back by popular demand……Once again the Annapolis Watercolor Club returns to the Bay Room with a vibrant new show “Treasures of the Chesapeake”. This year’s show brings together 21 local watercolor artists with an exciting range of talent, expressing their impression of the Treasures of the Chesapeake. This will be the annual juried show for the organization. The show will be judged by Nar Steel, owner of the Cobblestown gallery in Alexandria Va. Friends of the Museum are invited to the opening reception in the Bay Room on Wednesday August 28th from 5:30 till 7:00 p.m. Cash prizes will be awarded at that time. The Annapolis Watercolor Club has been servicing the Annapolis community for decades, and has sponsored shows at Maryland Hall, Quiet Waters Park, The State House Office building, Linthicum Walks as well as many local galleries in the area. 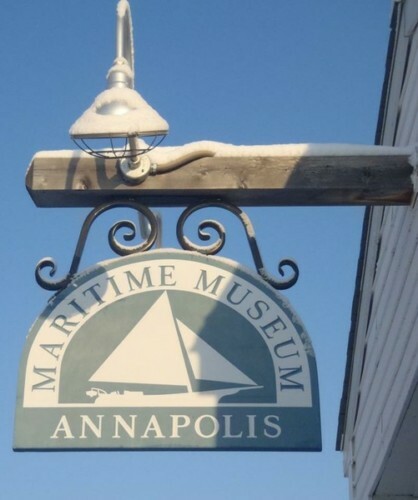 This year it is a pleasure to return to the Annapolis Maritime Museum for our annual juried show. The show will be on display through October, visit the Museum Thursday – Sunday from Noon – 4 p.m. In addition to staging shows, the Club conducts local classes for those trying to improve their skill, conducts field trips to noted regional galleries and has a strong scholarship program. More information about the Club can be obtained on the web site www.annapoliswatercolorclub.com .